Have I mentioned how much I love lunch? Here’s another one of my favorites. 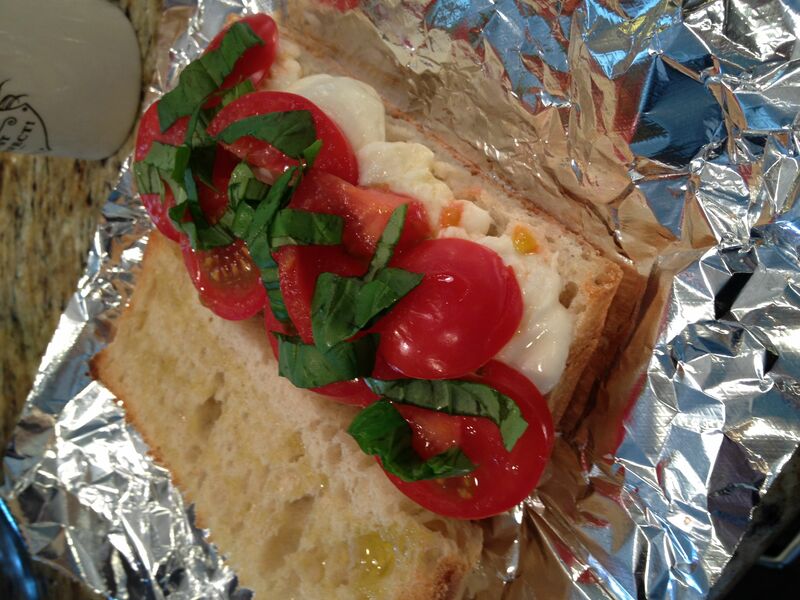 There is something about fresh tomatoes, fresh mozzarella cheese, and fresh basil that is simply delicious. Those Italians know what they are doing, even with the simplest of ingredients. Yummy! Set the oven broiler to high. Divide each sandwich side section of your loaf so that you have 2 open-faced pieces, like the picture above (only don’t put all the stuff on yet). 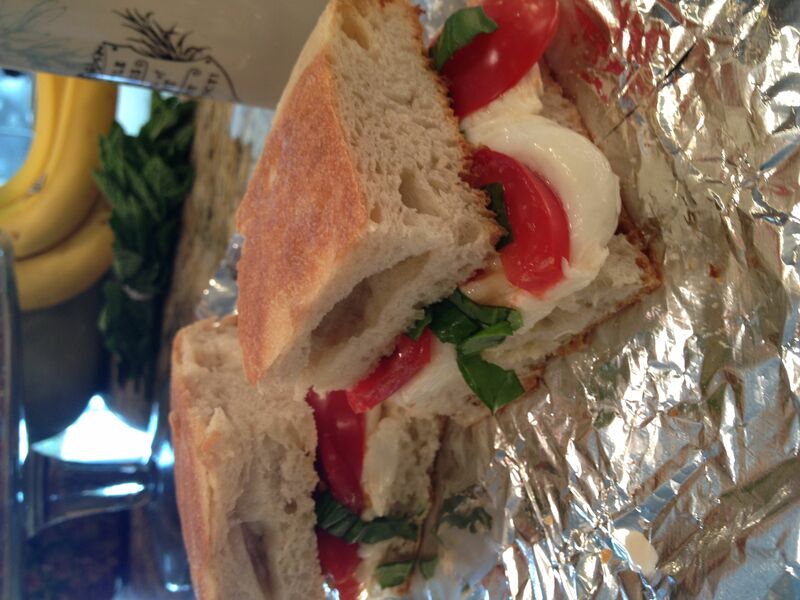 Drizzle each piece with olive oil, and then line one half of each sandwich with slices of mozzarella cheese. Put the slices, open-faced, under the broiler on a rack set in the middle of the oven (not to close to the element or the cheese will burn), and broil until the cheese is melty and the other side is toasted light brown. Remove from oven and stack the tomato slices on top of the cheese. Sprinkle with garlic salt and finish with slices of basil. Put the two side together, and cut down the middle to serve. This recipe makes 4 good sized sandwiches. You can obviously decrease or increase the portion size, according to how many people you are feeding. When I make this just for myself, I use the toaster oven instead of the big oven, and use the both the top and bottom elements. It makes a nice toasty sandwich. You can also add a smear of prepared pesto sauce under the cheese layer, if you like.